Ajmal Amir Kasab, convicted for his role in the 26/11 terrorist attacks in Mumbai, was hanged till death at 7.30 am in Pune's Yerwada Jail on Wednesday. Maharashtra Home Minister R R Patil has confirmed the execution. After nearly a four-year-long legal battle, on August 29, the Supreme Court had confirmed the death penalty awarded to the LeT operative by the trial court and later upheld by the Bombay high court. 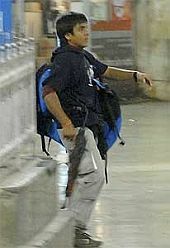 Upholding Kasab's conviction, the apex court had said that he killed without "the slightest twinge of conscience". The Centre had rejected Kasab's mercy petition on October 23.